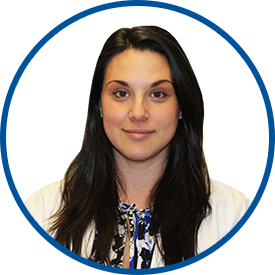 Dr. Micelotta is board certified in internal medicine and was awarded her medical degree by the New York College of Osteopathic Medicine. She received the honor of membership in the Iota Chapter of Psi Sigma Alpha National Osteopathic Honor Society. She then completed her internal medicine internship and residency at Lenox Hill Hospital, New York, NY, where she was on the primary care track. Most recently, her practice was with West Park Medical Group of New York, NY. Dr. Micelotta is also a clinical instructor of medicine at Icahn School of Medicine at Mount Sinai. She was selected as a Top Doctor by the International Association of Internists in 2016 and is a member of the American Osteopathic Association. Dr. Micelotta speaks Hebrew in addition to English. Dr. Micelotta made me feel comfortable discussing my health concerns. I just met her but I got an excellent feeling that she be a very good dr. for me. This was our first meeting. I have been looking for a doctor I can trust for years and I believe I have found one in my provider. The doctor was a doll and surpassed my expectations. I believe she will be my new doctor for internal medicine. Already gave a recommendation to a friend. I felt like she was listening. She was not dismissive or patronizing. this is my first visit after spending 20 years with another physician (also with WestMed). I needed new primary care physician that was at a more convenient location and did not have a long wait with available appts. Dr Micelotta met all of the criteria and I am so glad I have found her. Dr. Micelotta is an excellent internist. Nothing but superlatives to say about her. The provider was very thorough. This was my first visit with Dr. Micelotta as my previous doctor has retired. We have scheduled a visit for a full physical giving the doctor time to review my complete file. This was my first visit with I found her to be professional, confident, very well-spoken, friendly and cobcerned. She asked important questions, gave good suggestions, and scheduled a follow-up appointment. I look forward to working with her and have already recommended her to a friend.